The Pheasant’s Tale… or was it its Tail? 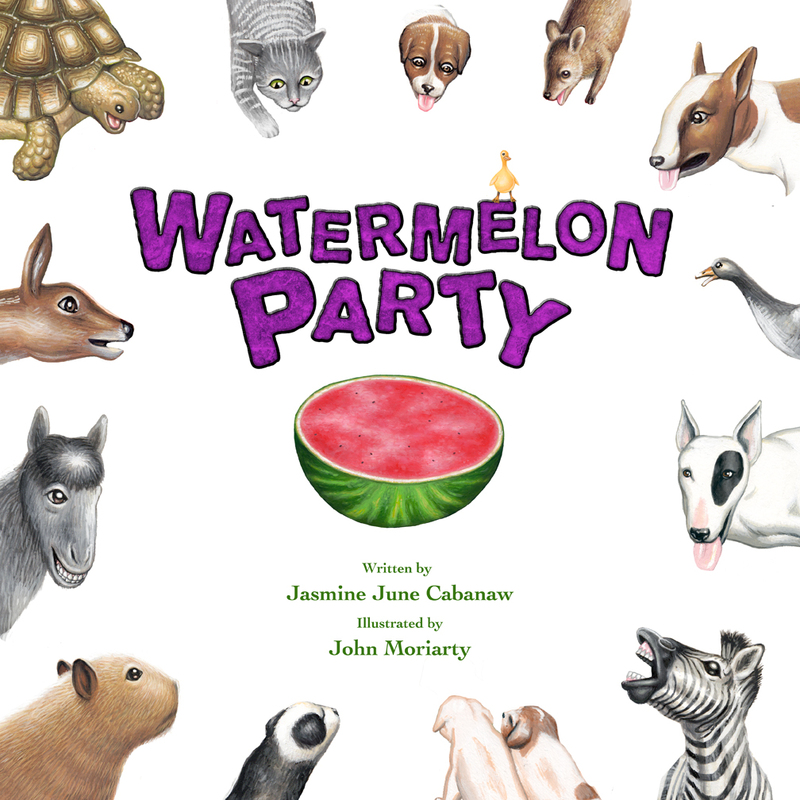 Watermelon Party ties in themes of friendship, sharing, and animal rescue. When a watermelon is set out at Rocky Ridge Refuge, the animals come one by one to join in on the delicious fun. By the end of the book, the animals are joined together, head-to-head, in a circle around the watermelon. The interspecies friendships are a metaphor for overlooking differences, no matter how strange or unique someone else may look. It is a celebration of diversity. There is also a bonus game of “Duck, duck, goose!” A little duckling rides in on the first animal. In each illustration, the duckling is sitting on a different animal, until the very end, when the duck lands on a surprised goose. The writing style is light and fun. The repetitive rhyming scheme will help children with their reading skills and learning action words. Now we can flock together!